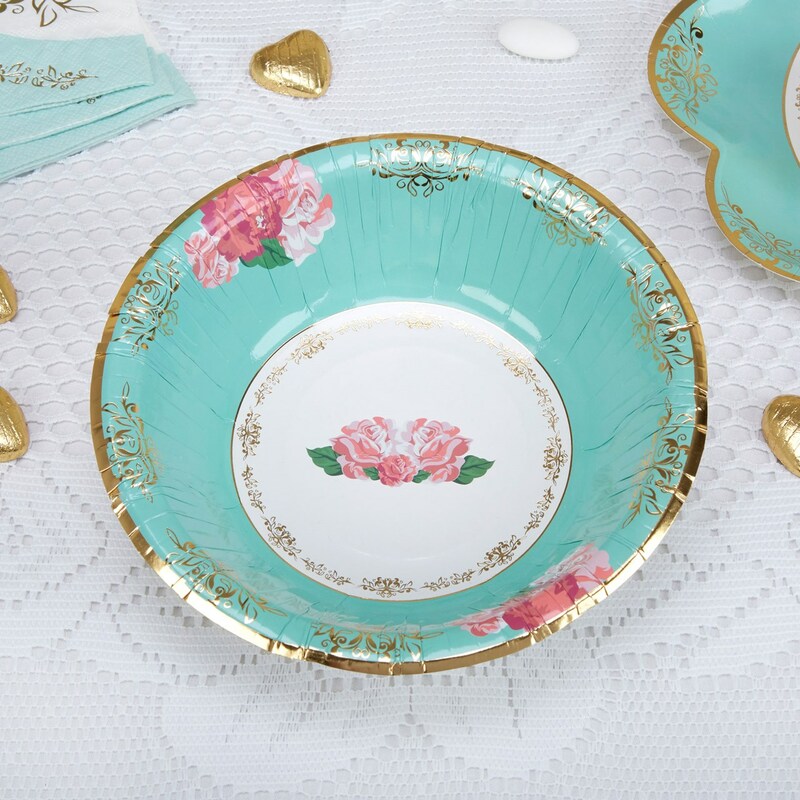 Part of the Eternal Rose collection, these bowls offer the perfect addition to your tea table, with their exquisite turquoise rim, gold filigree and clusters of pink roses. Finished with gold edging, the bowls make a practical substitute for real china and can be mixed and matched with your existing crockery or other pieces in the collection. Each pack contains 8 Paper Bowls.